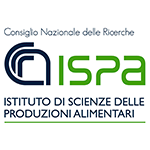 The Institute of Sciences of Food Production (ISPA), belonging to the Italian NationalResearch Council (CNR), is a centre of excellence, worldwide renowned, acting in the fields of scientific research, innovation and technology transfer aimed in particular to improve safety and quality of agro-food products. Among its main research fields, ISPA is involved in research on biology, chemistry, physiology and genetics of agriculturally important fungi and bacteria. It is also renowned for its expertise in the study of the production, biological characterization and biotechnological use of beneficial microorganisms and natural compounds for plant protection with methods having reduced environmental impact. 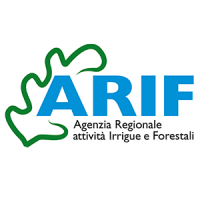 ARIF is the Regional Agency for Irrigation and Forestry Activities in the Apulia Region. 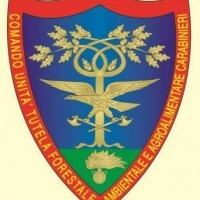 Established by Regional Law in 2010, it is a technical-operational body responsible for implementation of interventions in forestry and irrigation, through activities and services aimed at supporting the economic connotation of agriculture and the protection of forests.The Agency aims at implementing: a coordinated and integrated system in forestry for soil conservation and management of forests; initiatives aimed at the development and use of biomass of agro-forestry origin; the modernization of forestry; activities of technical and administrative support to civil protection, prevention and fight against forest fires and other disasters; business support and advice on forests owned by public entities. The National Forest Service, established in 1822, is a police force to civil law, specialized in the agri-environmental resource conservation, protection of natural heritages, wildlife and landscapes and in the prevention and suppression of criminal offenses related to the environment and food. 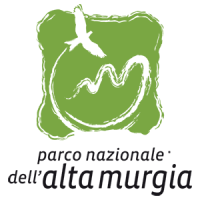 In particular, the CTA (Regional Coordination for the Environment) of the AMNP, a branch of the National Forest Service, is based in Altamura, and counts 4 Control Stations settled in Altamura, Andria, Gravina in Puglia and Ruvo di Puglia. The mission of the CTA is primarily to oversight the Park for compliance with the existing rules. Furthermore, on the basis of a operational level, it collaborates with the Park Authority in other activities, including monitoring the composition and balance of local flora and fauna.